You want your home to represent the best version of yourself. The tidy, attentive, effortless version that makes you feel both relaxed and on top of it. How to layer that feeling into a space? By choosing textures and colors that communicate that best-version of you. 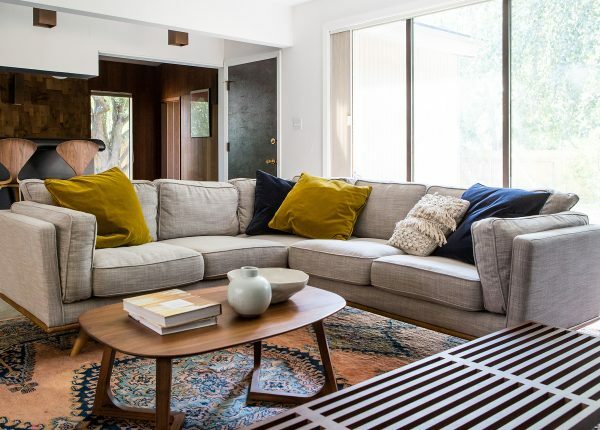 In this edition of Furniture Selection Tips, we look at how incorporating texture and color influences the vibe of your home. A common misconception of choosing furniture is that your larger pieces, like a sofa or a dining table, will dictate the mood of the room. While those pieces certainly reflect your style, you can’t slap a sofa into a space and immediately feel at home. It’s the combination of color, material, and texture in a room that layers up to personality. So how do you start to understand what colors and textures best reflect you? Start by thinking about when you feel most relaxed and comfortable. Are you wrapped up in a blanket? Relaxing at an oak table with a single tulip stem? Sitting on a floor pillow drinking coffee? Identify elements that make you feel happy and relaxed. Make lists. Of the items you’ve listed, what are the recurring themes? Once you’ve identified the elements you’re into, get busy working them into your own space. 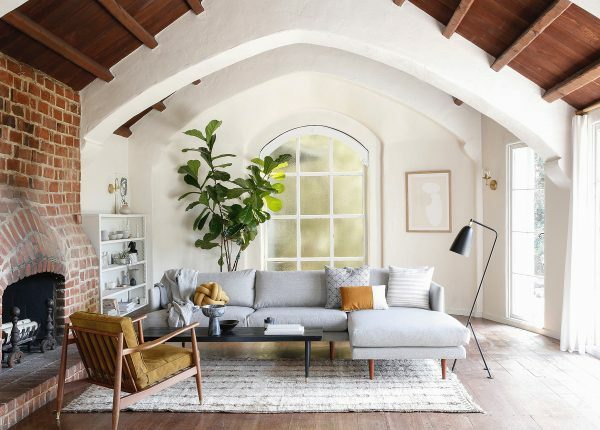 We love how Kate Davidson has kept her furniture choices cool and neutral against her many-textured living room. Texture adds warmth, interest, and depth to a room. Without it, a room tends to feel sparse — which is its own look! But hopefully an intentional one. So what exactly adds “texture” to a room? Things that pull us in with an invitation to touch: a coffee table with a gorgeous grain, a smooth powder-coated lamp stem, or a lux velvet sofa all come to mind. 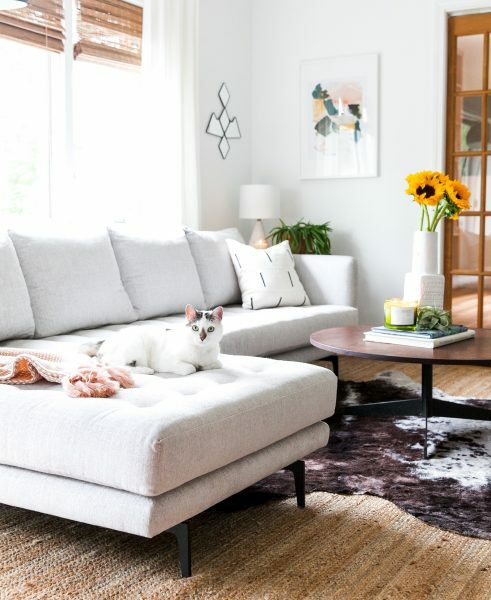 Jessica Brigham balances her room with textured rugs and the calm, clean-lined Sven sectional in Birch Ivory. Plush, wooly textures help to make a space feel warm and inviting. This is especially relevant during the darker winter months. It’s amazing how a throw or a set of cushy pillows can take a space from summer to fall. A sheepskin, like our Lanna, is a great versatile piece that looks great draped over an austere wooden chair or adorning a velvet loveseat. Wood is another great choice for a room that feels stark or cool. Woodgrain serves the dual purpose of bringing warm color and of bringing natural materials to your space. You can incorporate wood grain by bringing in accent pieces like wooden bowls, or choosing furniture items with a particularly beautiful wooden element. Our Otio lounge chair manages to be warm and inviting while skipping the overstuff. The Tana stool is a bit more rustic, bringing a unique shape and different shades of woodgrain. We love that clean Scandi look as much as the next furniture company, but there is such a thing as too much minimalism. How can you inject texture into a minimalist space, but keep the look and feel cohesive? Start by thinking about what makes a clean space inviting: great light, limited palette, and planes of space. You can add texture that mimic those details without interrupting the ease of your room. A beautiful window treatment, a cozy throw in a neutral color, houseplants with wide leaves. 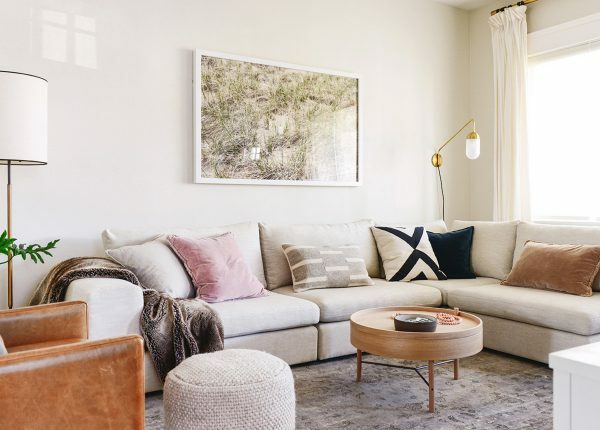 Our friends over at the Yellow Brick Home inject texture with every piece of furniture (such as their beautiful Gaba sofa), but keep it controlled with a limited palette. Color works create mood and feeling in a space. We wrote a pretty extensive piece on how to choose furniture color, but in short: it’s all about feeling. Attracted to subdued pastels? Or do rich, saturated jewel tones catch your eye? Pay attention to your personal preferences and don’t fall into a Pinterest hole. Combining texture and color is essentially a way to wholly experience your favorite shades. If you love love love blue, think of how much more you’ll love it as a buttery leather sofa. 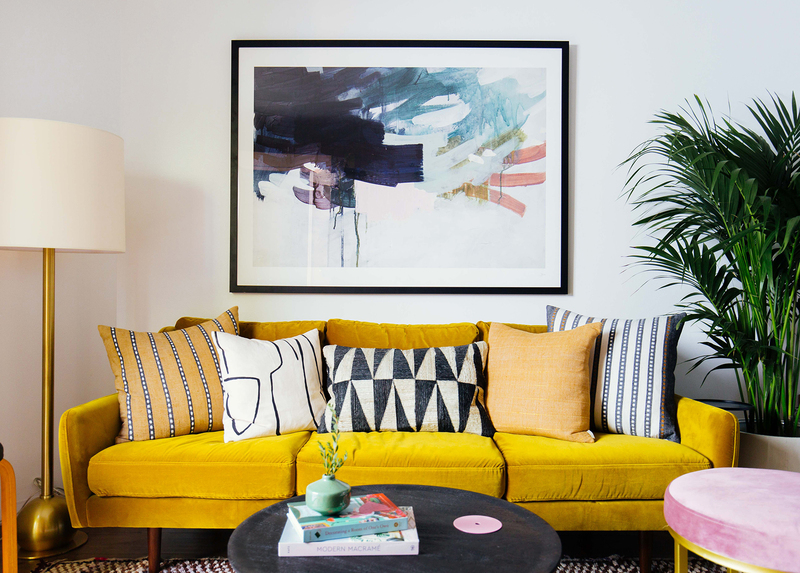 If you’ve fallen for a colorful couch, you can make it the sun of the room. That means that every other piece orbits — but doesn’t eclipse. Your supporting pieces should still consider the balance of color and texture, but be pared back, letting your statement piece be… well, the statement. We see a good example in our holiday entertaining lookbook. The Sven in Cascadia Blue combines texture and color for a glam centerpiece, while the other elements provide backup in neutral tones of grey, tan and white. Simply Grove anchors her eclectic space with our cushy Timber corner sectional. When you’re searching for ways to infuse personality into your space, paying attention to the types of texture and color that inspire and comfort you is key. Understand why you respond to them, know what your personal preferences are, and then sink right in and enjoy the process. Because at the end of the day, playing with your favorite design elements to create rooms that bring you (and your family) more joy can be an enlightening process.